Although there are a multitude of criminal defense lawyers in Southern California, few firms focus their practice on white collar crimes and other serious criminal allegations. Fewer still have the resources and insightful attorneys to handle matters involving complex — and often conflicting — state, federal and international laws. In all matters, our clients benefit from the personal attention and creative solutions that they receive from our attorneys. We build personal relationships with each of our clients, so that they feel comfortable putting their trust and their future into our hands. Those who retain our services find that they gain the peace of mind and confidence that can only come from knowing that an accomplished attorney is protecting their interests at all times. 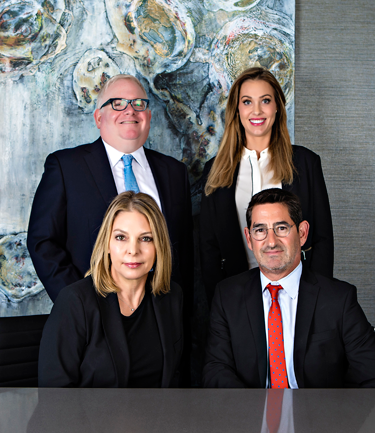 As one of the elite criminal defense firms in the Beverly Hills and Los Angeles area, we have become known as trusted advisers for executives, business owners, professionals, entertainers and other public figures who have both their freedom and their reputations at stake when criminal allegations arise. When representing these individuals or any other clients, we make confidentiality and discretion one of our highest priorities and work tirelessly to eliminate or minimize the collateral consequences that stem from contact with the criminal justice system. "Nina provides tremendous energy and devotion to clients. her remarkable focus and dedication." he brings to each and every case. I would want him as my lawyer." To learn more about our firm and the high-quality defense services we provide,contact Kaplan Marino, Attorneys at Law.